The transatlantic relationship is undergoing a period of turmoil. President Trump’s unorthodox policies have exacerbated historical sources of mistrust between the U.S. and its European allies. 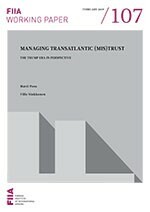 This working paper approaches the transatlantic bond from the perspective of asymmetric trust, a perennial factor in transatlantic security and defence affairs. For Europe, the U.S. remains the ultimate guarantor of security, rendering allies dependent upon Washington’s decisions and goodwill. From the American perspective, the European allies are not crucial in ensuring U.S. national security, but remain a pool of reliable partners, whom Washington can periodically draw upon to pursue its global ambitions. This paper evaluates how mistrust has featured within the asymmetric alliance setting, and places the current friction between the U.S. and Europe within this broader context. 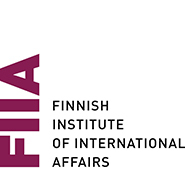 Acknowledging the sources of mistrust and managing mutual suspicions are crucial for the sustainability of the alliance in an increasingly competitive international arena.